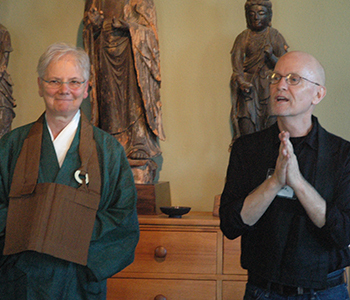 Through the generosity of our extended Sangha, the San Francisco Zen Center outreach programs have received on-going support for our efforts on behalf of prisoners, homeless men and women, families in shelter, and other underserved populations. The recent book sale proceeds were $950. The sale of Richard Urban’s ceramics generated $1,414 (half of which will be donated to SFZC and half to Dragon’s Leap Temple). Also, 330 pairs of socks were collected and will be distributed to homeless people through the Gubbio Project. Thanks to all of you who contributed through your donations and volunteer support, and in any other way. Our outreach programs are able to continue only through your generosity and enthusiasm.